The instrument has an electronic overload protection of all functions and ranges. 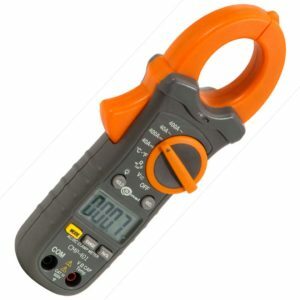 Clamp on Digital Multimeter ""AUTO-OFF” function after 30 min. AC/DC current measurement (TRUE RMS) up to 1500 A and DC up to 2000 A. Measurement INRUSH current in start-up phase of electrical device. AC voltage measurement (TRUE RMS) up to 750 V and DC up to 1000 V.
Resistance measurement and continuity test: continuity test with acoustic signalling (beeper) for resistance below 30 Ω. Temperature measurement (Fahrenheit or Celsius). continuity test with acoustic signalling (beeper) for resistance below 30 Ω. 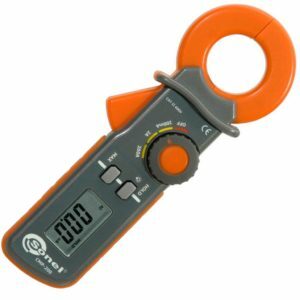 A versatile clamp multimeter AC/DC voltage measurement up to 600 V. Safety rating up to Cat IV 300V or Cat III 600V. 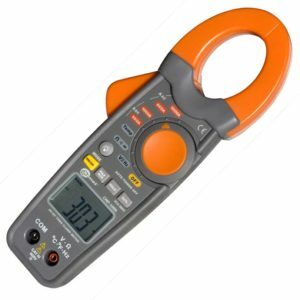 With a current clamp capable of measuring 400A AC or DC. Perfect for diagnostics and troubleshooting. Measuring Voltage, Current, Diode test, Capacitance, Resistance, frequency, temperature and continuity. A perfect tool for repair firms, installers, fitters and electricians. Temperature measurement (Fahrenheit and Celsius units). continuity test with acoustic signalling (beeper) for resistance below 50. Digital Clamp on multimeter which is designed to measurement INRUSH current in start-up phase of electrical device (high frequency of sampling) AC/DC voltage measurement (TRUE RMS) up to 600 V.
Resistance measurement and continuity test: continuity test with acoustic signalling (beeper) for resistance below 40. 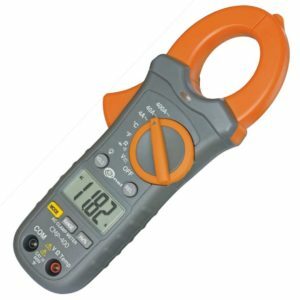 Clamp on AC current measurement up to 200 A. 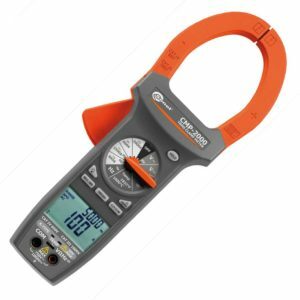 The CMP-200 digital clamp meter is designed for clamp measurements of AC leakage current. three measuring ranges: 200 mA, 2 A, 200 A. DATA HOLD function, for holding measured values. A versatile multimeter Voltages rated up to Cat IV 300V or Cat III 600V. With a current clamp capable measuring 400A AC. This is a handy tool for installers, fitters and electricians. Perfect for diagnostics and troubleshooting. Measuring Voltage, Current, Resistance, frequency, temperature and continuity. continuity test with acoustic signalling (beep) for resistance below 50.